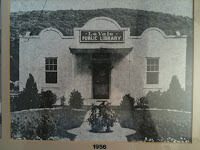 Did you know Family Values Dental used to be a library and before that a police barracks? Well, our building has quite a local history. 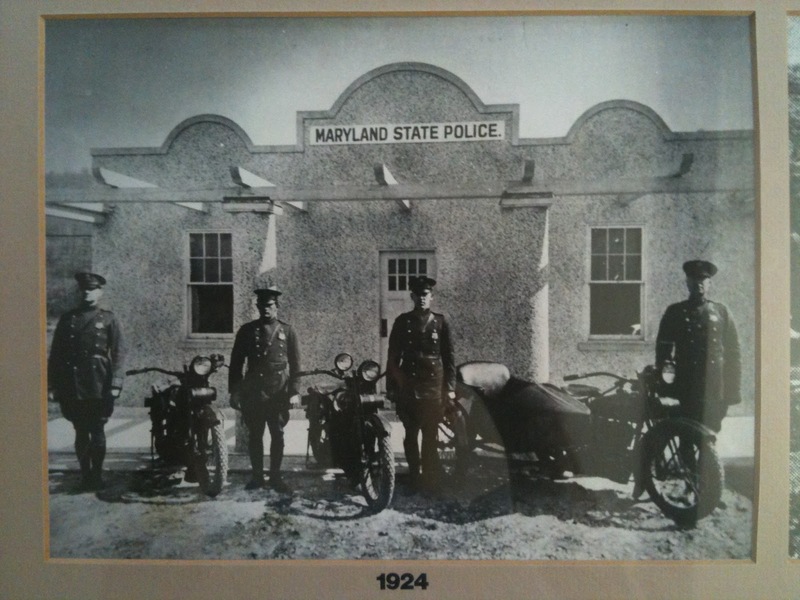 In 1924, the Maryland State Police set up their police barracks in LaVale MD right here at our very location. The foundation and much of the internal structure of the building is the same now as it was back then. The basement has a concrete-walled room which sort of reminds us of a jail cell. I'm not sure if it was ever used as a jail, but it certainly make you wonder. There may have been some interesting characters pass through these walls decades ago. We think the building in the back of the property was a horse stable for the police officers. Horseshoes were found 6 feet beneath the present macadam parking area while excavating for underground utilities in 1979. The inside of the back building has the feel of a stable with low ceilings and wood-beamed supporting structures. 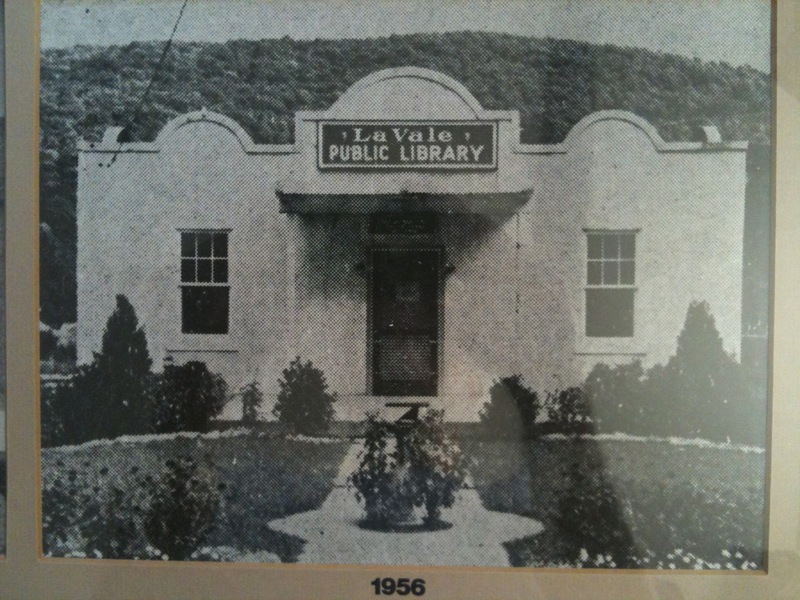 In 1956, the LaVale Public Library (Allegany County Library branch) was located here. Currently the library is located directly across the street...which is very convenient for families visiting out practice. But back then, LaVale's library was right inside this building. You can see the original library ceiling tiles with 1950's style stainless steel light fixtures beneath the current ceilings tiles. If you turn off all our dental equipment and music, you can imagine that this place would have made a great library...it's quite peaceful. We've tried to maintain that peaceful library-like atmosphere by having lots of interesting coffee-table type books to leaf through in our lobby. Some people have even commented that our lobby is so relaxing and quiet it feels like they are still in the library. Welcome to the Family Values Dental blog. We've had our website up since opening the practice and it's about time for a real blog. To start off, I'll just tell you a little bit about the history of our dental practice here in the Cumberland MD area. Dr. John Dowell was the former owner of the practice. He was a caring, gentle, skilled dentist whose #1 priority was always serving his patients well and treating them as friends or even family. He was never pushy about "selling" unnecessary, expensive dental treatments yet at the same time, took excellent care of his patients with thorough diagnosis and quality care. When I was looking for a dental practice to step into and take over, that's exactly the type of place I felt at home in. Some dental practices can seem to be more about running a highly successful business than placing patient care first. We have adopted the same philosophy of conservative, quality dental care and hope to continue it for a long, long time. If you'd like more information or to schedule an appointment, visit our website Family Values Dental.